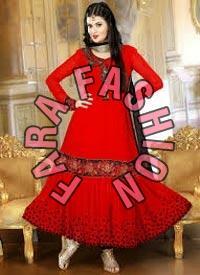 Based in Ramanathapuram, Tamil Nadu, India, we are a supreme manufacturer, exporter, and supplier of Ladies Long Suits. We offer a wide variegated range of Ladies Long Suits in numerous colors and patterns. These suits come in all sizes and glides perfectly on your party to give you an elegant look. These suits have comforting texture and marked at a reasonable range of prices.